MLM Compensation Plans are often a reflection of a company’s personality. MultiSoft understands that not everyone wants to utilize the same type of plan – you want a plan that fits your philosophies and business model. MarketPowerPRO was built on the premise that a compensation plan “must fit” the company that it serves. MarketPowerPRO can be set-up with an array of different compensation plan types: Binary, Weak Side Binary, Matrix, Unilevel, Hybrid, Australian, Breakaway, etc. MultiSoft has an extensive amount of experience with compensation plans – we have set-up thousands of plans over the last 30 years. Beyond the base MLM compensation structure, the system also clearly recognizes that bonuses are critically important to the overall payment concept. A number of bonuses, from Fast Starts to Generational, are available in our bonus library and ready to be seamlessly integrated into your system. Unsure of Which Compensation Plan Type Might Be Right for You? MultiSoft has a tremendous amount of experience not only programming compensation plans but formulating them as well. 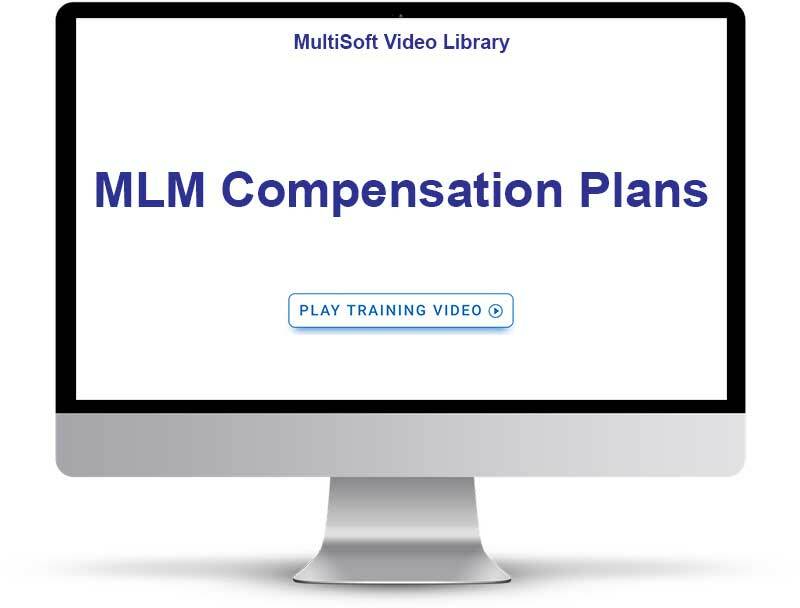 MarketPowerPRO has benefited from decades of experience – our MLM software comes complete with an extensive library of compensation plan options that have proven popular over the years. Whatever your goals or budget, MarketPowerPRO has a MLM compensation model to fit it. Whether you’d like to build an off the shelf plan from within our standard library or delve into a completely customized job, MarketPowerPRO and the MultiSoft team can handle it.